Be the first to share your favorite memory, photo or story of Gerda. This memorial page is dedicated for family, friends and future generations to celebrate the life of their loved one. 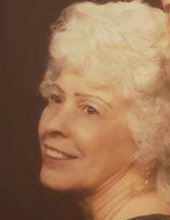 Gerda Edith Dunlap, age 89, passed away peacefully on April 11, 2019 surrounded by the love of her family. Gerda was born on October 20, 1929 in Berlin, Germany. In 1952, Gerda moved to the United States and proudly became a U.S. citizen. She had two children; Frank and Mary. It was in the United States that Gerda met the love of her life, Dale Dunlap, while she waitressed at the Golden Mile. They quickly fell in love and married. In Gerda’s free time, she loved to garden and to knit. Beloved mother of Mary Sylvia (Robert A.) Lawrence; loving grandmother to Adam Jason Francis, Aaron Nathaniel Francis, Blake Mackenzie (Erica) Francis, and Frank William Papaik; cherished great-grandmother to Hailey Francis, Kylene Ann Francis, Brent Reinhold Francis, Colton Robert Francis, Autumn Willow Francis, And Conner Joseph Papaik. To send flowers or a remembrance gift to the family of Gerda Edith Dunlap, please visit our Tribute Store. "Email Address" would like to share the life celebration of Gerda Edith Dunlap. Click on the "link" to go to share a favorite memory or leave a condolence message for the family.